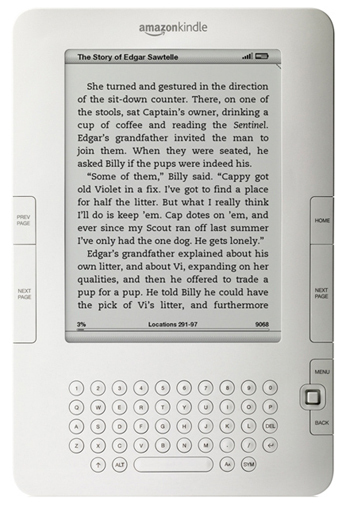 While many have speculated and tried looking into crystal balls to see if e-readers would ever find their niche, it seems that the actual sales of the devices and their resulting e-book content have been climbing to a point that seems to imply they already have. Amazon announced yesterday that sales of Kindle edition books has been skyrocketing compared to hardcover books. Of course, no mention is made of sales compared to paperbacks, but the numbers are still fairly impressive. 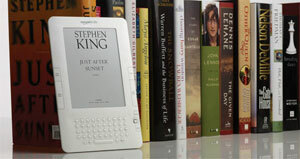 Five authors–Charlaine Harris, Stieg Larsson, Stephenie Meyer, James Patterson, and Nora Roberts–have each sold more than 500,000 Kindle books. While the press release mentions that the sales are across the board for not only the physical Kindle, but also all of the various apps for phones and the iPad, it would be interesting to know how many of these are on the actual e-reader the company sells. I would also love to know how many books the average customer purchases. Are these sales made up of people buying lots of books, or is it a lot of people buying one book to try out the app on their iPad and other devices? While there is no word on how other e-readers such as the Barnes & Noble Nook are performing, our guess would be that the Kindle is in the lead simply because it has become synonymous with e-readers. If this is indeed a trend across the entire e-reader space, then you really do have to wonder how long it will be before hardcovers become a rarity as opposed to filling the tables near the front doors of bookstores. What say you? Are you ready to just go completely to e-readers?